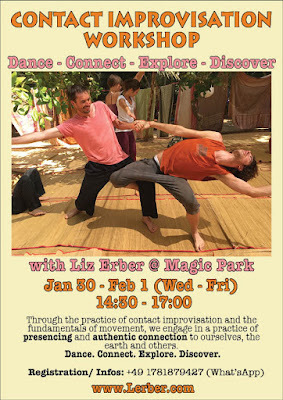 I am offering a 3-day CI workshop this coming week, Wed - Fri (Jan 30 - Feb 1), 14:30-17:30 at Magic Park. I connect somatic practices and the fundamentals of movement (how our bodies developed and are organized) into contact. 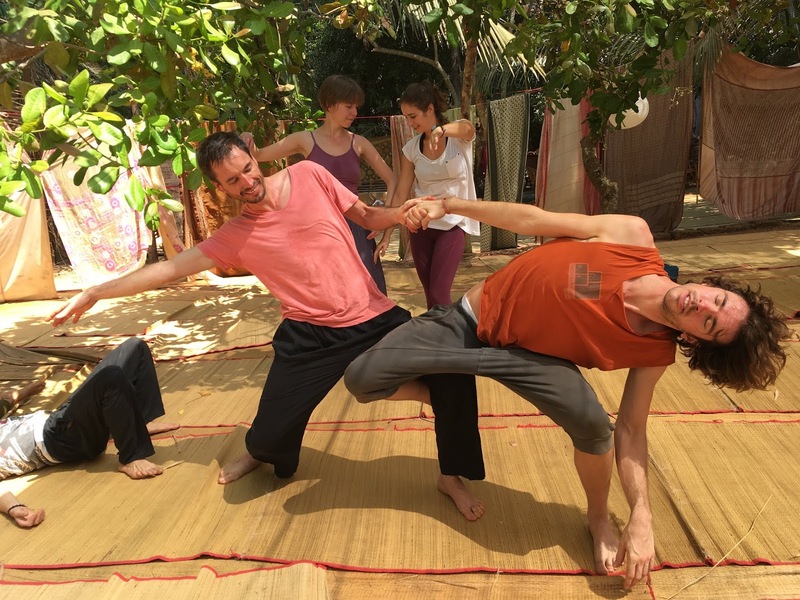 Through the practice, we create a strong connection to the earth, ourselves and others, giving us the freedom to play with a wide range of dynamics: soft and strong, subtle and large movements, slow and fast; and to easily fall and soar. Cost: 2000 Ruppees (a portion of earnings will go to animal rescue in Arambol). 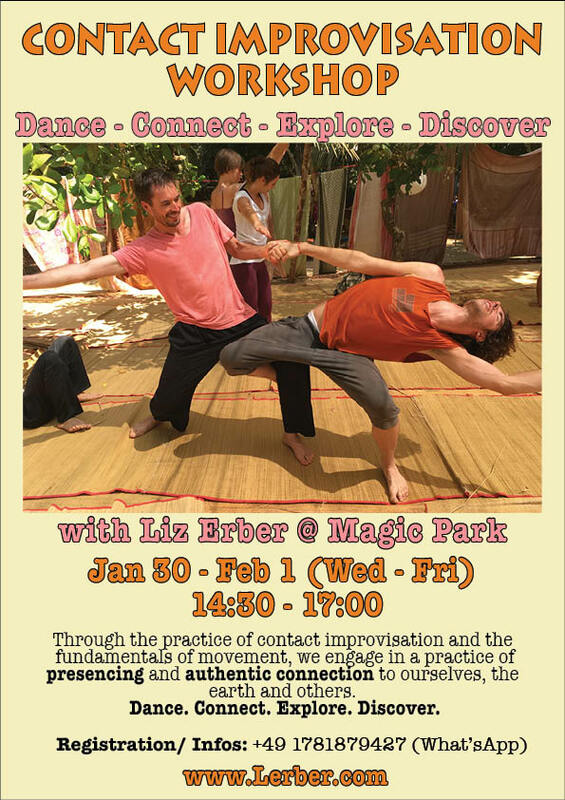 Liz Erber has been teaching contact improvisation for nearly two decades, and is grateful for every opportunity to share her love of dance and CI with others while also deepening her understanding of the human body and human interaction. She teaches regularly at K77 Studio in Berlin, at dance festivals around the globe and in India. In addition to contact improvisation she teaches a variety of somatic, contemporary and improvisation dance styles, in addition to composition/choreography and moving and writing. Liz holds degrees in dance, theater and chemistry/biology, and has a background in somatic education, Laban/Bartenieff studies, release techniques, creative dance and improvisation, and movement analysis. She works professionally as a performer, teacher and choreographer.